This year I felt like I wanted to get a good picture of my strengths, finally, so I invested in several studies – I did one through work (Strengthscope), I did Via Strengths (free but you pay for detailed report) and I did Strengthsfinder 2.0 by Gallup (you need to buy a book which gives you a code). They replicate so you can do just one if interested. And do please share in the comments if you found another survey/ tool and it worked for you! 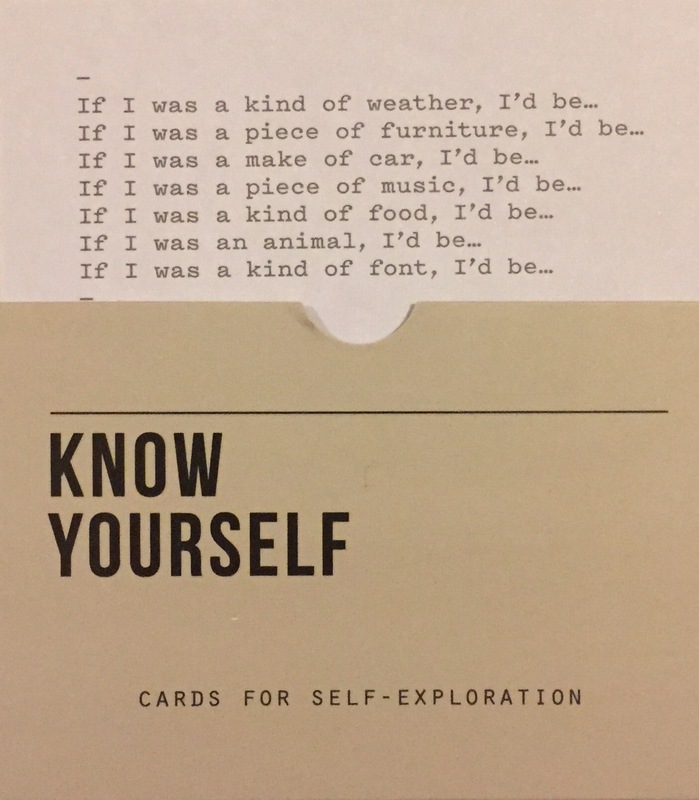 In light of the above, this blog makes complete sense 🙂 Here is another way of understanding yourself more – this is a card from The School of Life’s Know Yourself series (another fun tool I invested in!). Do this exercise (writing down your answers is best so you could see and analyse themes) and see what you discover about yourself. Other tests that may be of interest – all have to do with life purpose/ calling/ work. A surprisingly spot on Born For This Quiz from Chris Guillebeau, self knowledge questionnaire from The School of Life and How To Find a Job You Will Love questionnaire from the same. Have you learnt something that surprised you? Please share in the comments! This entry was posted in learn, quotes and tagged happiness, happy, nomad, school of life, strengths, understanding, universe. Bookmark the permalink.